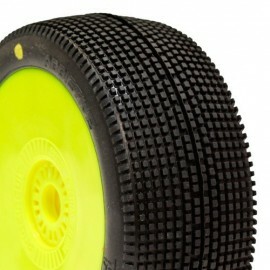 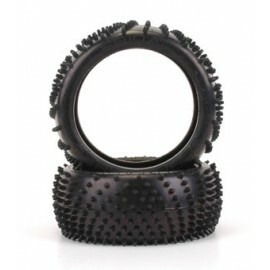 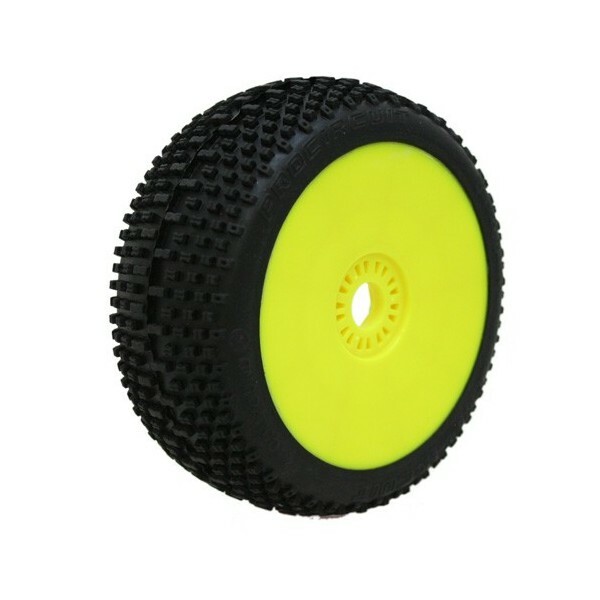 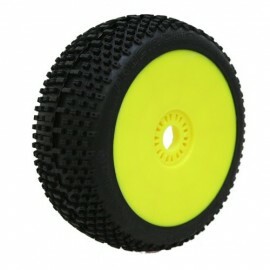 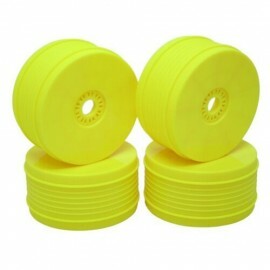 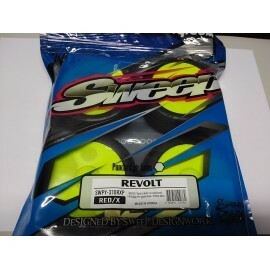 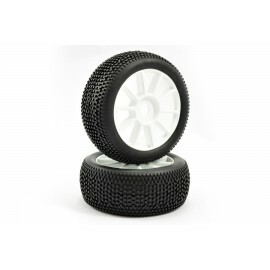 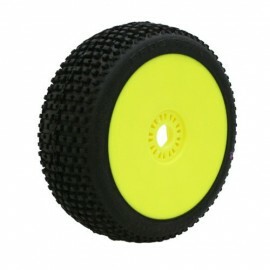 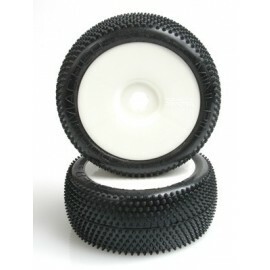 This is the World Edition version of the 1:8th Buggy Tire Sweet Shot Pre-Mounted on Yellow Wheel. 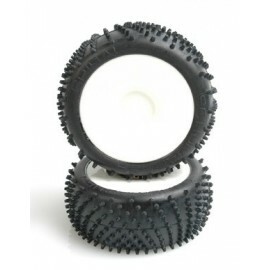 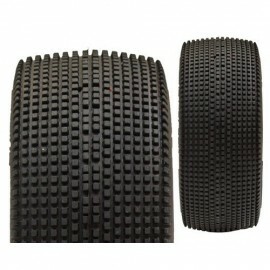 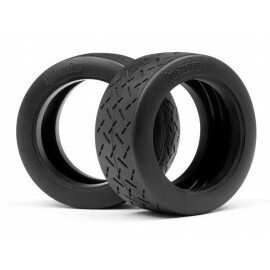 This tire offers drivers a tread pattern for the most challenging track conditions, while maintaining incredible grip across a wide variety of track surfaces before it starts to clean up the layout. 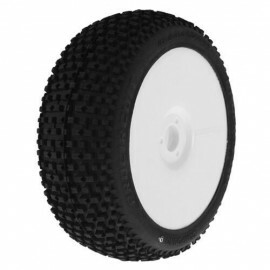 It offers drivers consistent handling on outdoor racetracks with a little bit of loose dirt and really stands out in loose to loamy track conditions. 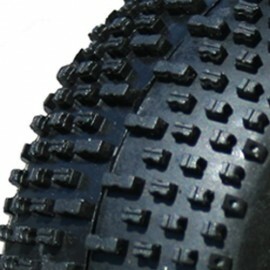 With the centre bars you can expect this tire to deliver the power to the ground. 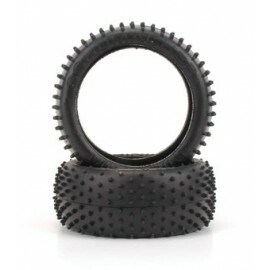 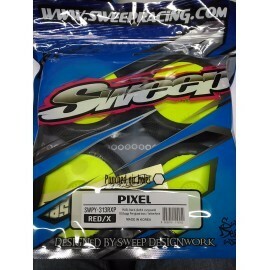 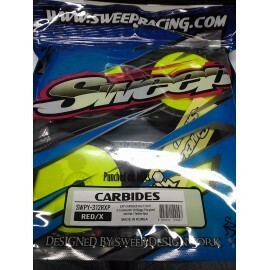 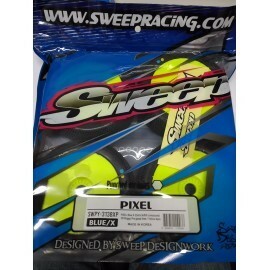 The SWEET SHOT are a specialty tire that when matched to the appropriate track conditions can provide amazing results. 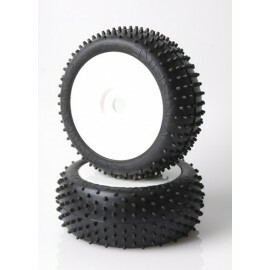 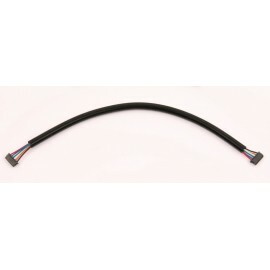 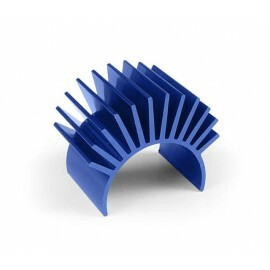 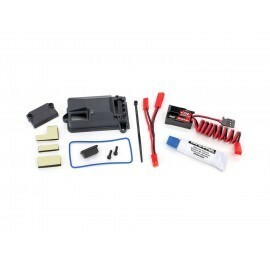 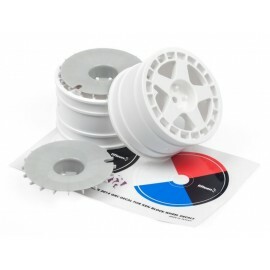 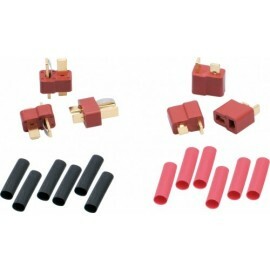 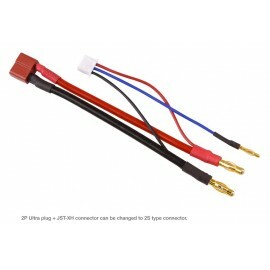 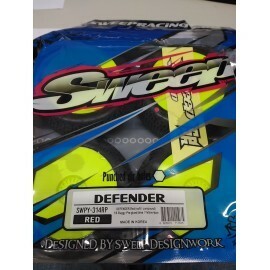 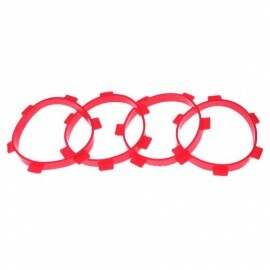 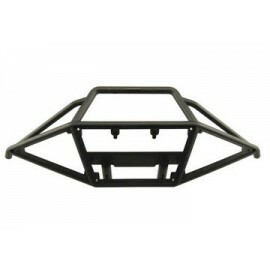 It provides awesome forward traction, fantastic response as well as quick corner speeds. 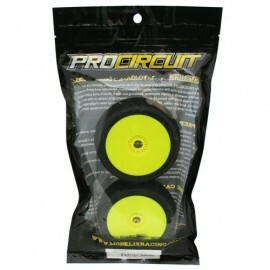 PROCIRCUIT did not miss a detail as the outer pins have already been clipped at a convenient angle for a smoother driving feel and transition. 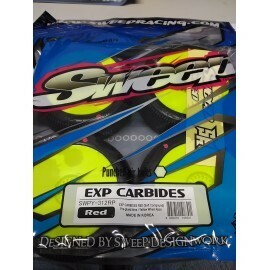 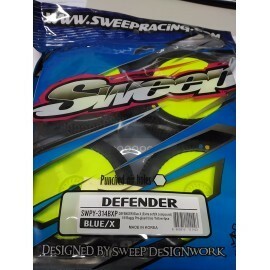 Available in blue (medium), green (soft), purple (super soft) and red (xtreme) compounds.